Regular lawn mowing and landscape maintenance are essential to maintaining a welcoming environment for your customers. At Giving Hope Lawn Management, we specialize in commercial lawn mowing services and landscape maintenance. We make it easy to get a quote, just give us a call! Cutting grass around commercial buildings is every bit as important as mowing residential yards. In fact, because of the added liability of operating a business, commercial lawn mowing is a necessity that you can’t ignore. Unfortunately, too many service providers try and charge a premium for lawn mowing for businesses. For what you wind up paying them, you could have purchased a riding lawn mower and do it yourself! But luckily for you, Giving Hope Lawn Management remains the affordable and efficient solutions for all your lawn care needs. When you need quality grass maintenance at lowers pricing, we achieve the best results each time! Don’t let higher costs of other services prevent your business from looking its best. Instead, allow us to maintain your yards for less today! While your outdoor areas require more than just regular grass cutting, you still need us to keep your yards maintained. Proper landscaping and increased plant growth begin with quality grass cutting. Whether you need us to cut your company’s grass regularly or for one-time storm cleanups, our team achieves better results for less. No one else manages the professionally manicured look of lawns as we do! When your business needs better curb appeal and healthier plants, you need us to cut your grass. We promise fast, reliable service and affordable rates, no matter how large your lot size might be! Give your yards the care it deserves and hire us for all your grass mowing needs. We provide the best appearance for more local businesses than anyone else! When you operate a business that gets zoned for industrial use, you may think that you’re off the hook for cutting your grass. Unfortunately, most building owners find out the hard way that you still have to maintain your grassy areas! But when are you supposed to take time out of your daily operational needs to handle something as mundane as trimming your yards? During business hours, there’s no way you can take care of both! Instead, our team remains the affordable choice for all your grass cutting needs. Even in dense, industrial areas, we get the results no one else can! When you need your property to look its best, but you need to stay on budget, look no further than our team. For over seven years, we’ve helped more local businesses save on quality landscaping services! No matter what field or type of company that you operate, you deserve quality landscaping solutions at affordable rates every day. That is why our company remains your local lawn care experts! We always offer our best yard care services at the lowest pricing possible to give everyone the opportunity to have the lawns that they deserve. And it’s no wonder why we’re still the top landscaping company around! Call now for all of your commercial and industrial lawn services. We can give you the best level of quality each time! 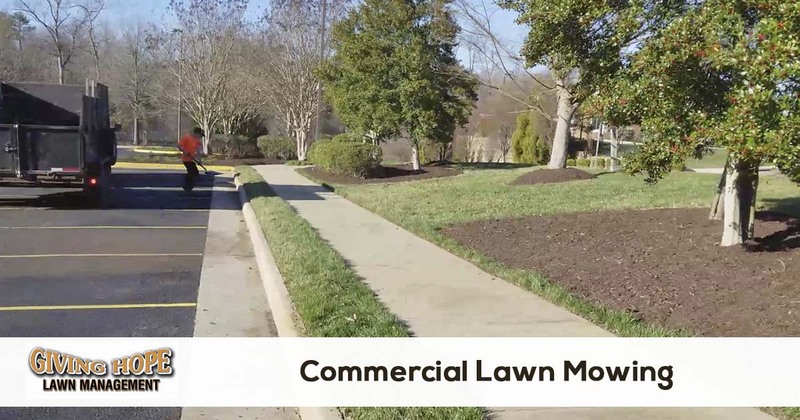 Ready to schedule commercial lawn mowing services for your business or commercial property? Give us a call and we will provide you a quote quickly and make it easy to schedule service.